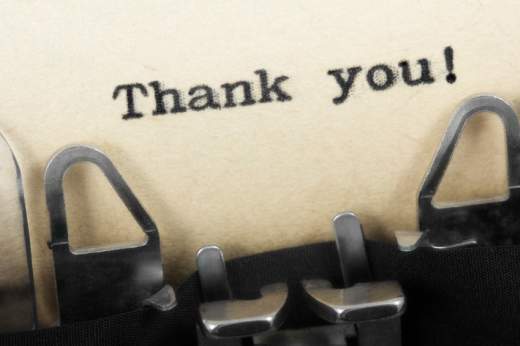 As I addressed previously in The Lost Art of the Thank You Note, I strongly believe saying thank you is important. It seems that in the rush to get help and information some young professionals may be forgetting this common courtesy. If a professional offers you advice, a resume critique or job search assistance, at minimum say thank you. I’m not suggesting you buy them flowers or send chocolates, but I am suggesting you write them a note thanking them for their help and promising to keep them updated on your progress. While you might view not sending a note as no big deal, the professional person might see it as a slight, which could hurt you in the long run. Besides, don’t you want to be known as that up-and-coming, thoughtful and polite young professional? A thank you note can help you establish that reputation. And let’s face it, in the ever shrinking professional world, your reputation is what you make it and then how you maintain it. This is so true. As someone who has been responsible for interviewing and hiring candidates for various positions, the people who have gone out of their way to be interpersonal, courteous, and appreciative always get the job over the people with raw talent. I am more likely to hire the person with fair talent but who wants it enough to make the extra effort and follows up, than someone with a lot of raw talent who doesn’t care either way. It is good to know that politeness and humility make a difference in various fields. I hope more people come to realize there is nothing wrong with modesty. Your talent will be evident, but your attitude will make your co-workers want to work with you.